Many things can cause fires at construction sites in New York and New Jersey. That’s why OSHA has special rules to prevent fires and explosions. There are also rules to make sure fires can be put out quickly and workers can evacuate. Sadly, these rules are sometimes broken and the results can be tragic. About 36 people die in construction fires each year, and many more get hurt, according to the Bureau of Labor Statistics (BLS). The companies and people at fault must be held accountable. The Ginarte law firm can help you get the money you deserve if you suffered in a construction site fire. Get help from the construction injury lawyers at the Ginarte law firm today. We have 25 lawyers who are ready to look at your case. Call 1-888-GINARTE now. Or you can fill out our online contact form. There is no risk because we collect fees only if you win your case. 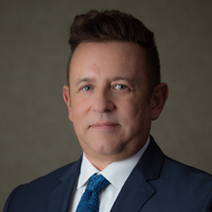 Ginarte O’Dwyer Gonzalez Gallardo & Winograd, LLP, is one of the biggest firms in the NY / NJ metro area that handles construction accident claims. Ask us what we can do for you. The mix of flammable materials, sparks, flames, heat sources, gases and chemicals can all lead to a construction site fire. Welding is a leading cause of fires at jobsites. Power tools can also short out and cause a fire. Sparks from grinders or drills can ignite flammable materials. Open flames or smoking around gas could lead to a fire or explosion. Portable heaters are another fire hazard at New York and New Jersey construction sites. Demolition work is particularly dangerous because it often involves blasting. OSHA rules require fire protection plans at all construction sites. The NY Labor Law and NY Industrial Code also impose numerous safety measures. There must be firefighting equipment — fire extinguishers and sprinklers, for example. They must be inspected regularly. Fire escape plans are another requirement. Escape routes must be kept clear. There must also be a way to contact local fire departments. OSHA has rules about storing materials so as to reduce the chance of a fire and to allow access in case one happens. Dangerous liquids and gases require even greater caution. Pressurized containers present an explosion risk. Injuries from falls, and more. When a construction worker dies in a fire or an explosion, the loss is more than money can compensate for; but the surviving family members must deal with financial problems on top of their grief. A construction accident lawsuit can provide money to help make up for the financial loss. People who suffer serious burns or other fire-related injuries often need years of expensive treatment. Many times their injuries will prevent them from working again. It is not difficult for an injured person to rack up bills and losses that total six figures or even more. Although workers’ comp often provides some help, it is usually not enough. It’s important to talk to the Ginarte law firm to pursue all potential paths of recovery. They know how to get you all the money you deserve for your NY / NJ fire or explosion injury. The construction injury lawyers at the Ginarte firm know how to use NY labor laws to help you get the most for your fire injury claim. You have a right to a safe workplace under New York law. If a fire or explosion happens, it is because someone did not follow OSHA or other safety rules. NY law could allow you to recover money damages for your injuries. Several different parties could be held liable for the accident, including the property owner, the prime or general contractor, the property developer, vendors, subcontractors and more. 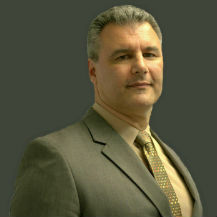 Talk to our New York construction fire lawyers to find out more about your construction injury claim. The law in NJ requires an injured worker to show that someone was to blame for the accident. Because New Jersey doesn’t have special labor laws like New York, the legal strategy is more similar to an auto accident. The term for this is negligence. In other words, someone had a duty to do something and you got hurt because they didn’t do what they were supposed to. Usually an OSHA violation will be good grounds for an NJ construction fire or explosion claim. The lawyers at the Ginarte firm work with experts to figure out what rules were broken and who broke them. We have been successful in using that information to recover damages for clients who have gotten hurt in NJ construction accidents. Talk to us to see how we can help you. You need a strong advocate to stand up for your rights. Trust the Ginarte law firm to work hard for you in your construction injury case. Don’t wait to contact us. Dial 1-888-GINARTE or use our online form now. Remember, you have nothing to lose. We collect fees only if you win your case. Call today for a free consultation. 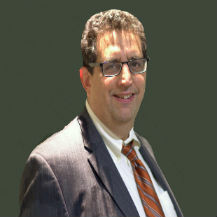 The NJ / NY construction accident lawyers at the Ginarte firm have six area offices. Visit us today in Newark, New York City, Union City, Elizabeth, Clifton or Perth Amboy.